I designed this plug-in for Word Press. 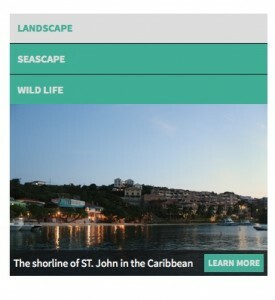 It is a responsive slideshow with left hand navigation boxes. It is similar to slideshows on sites like Wayfair. 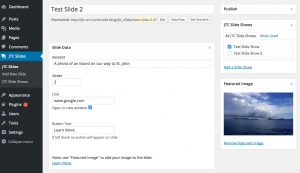 This is a light weight plug-in and highly customizable. You can change colors, height and widths (navigation and image box). 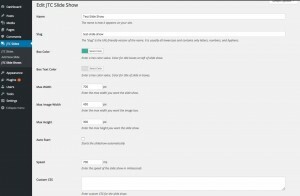 Also with parameters in the short code you can change the width at which the slideshow stacks for a better mobile experience. 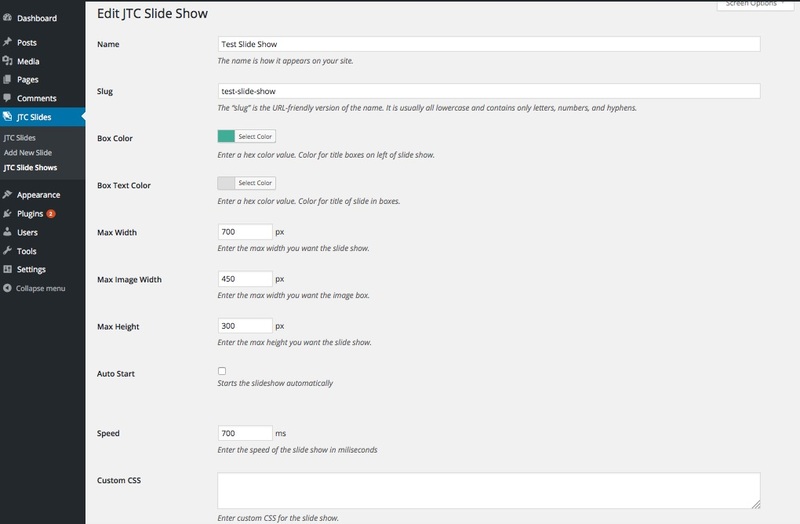 You can also change the background color of the slide box.